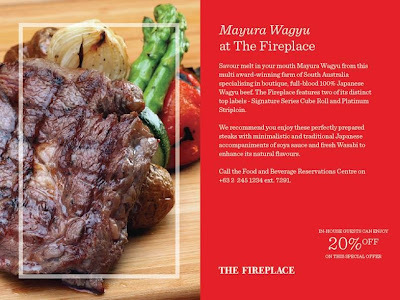 Steak-lovers, head off to The Fireplace at The Hyatt Regency Manila for your Mayura Wagyu fix and get 20% off. Call F&B Reservations at +632 245 1234. 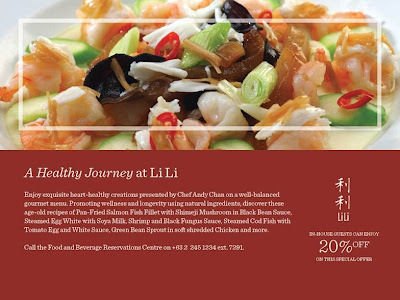 Meanwhile, Chef Andy Chan creates a healthy meal that promotes wellness and longevity at Li Li such as the Pan-Fried Salmon Fish Fillet with Shimeji Mushroom in Black Bean Sauce, Shrimp and Black Fungus Sauce, and many other dishes that is "heart" friendly.